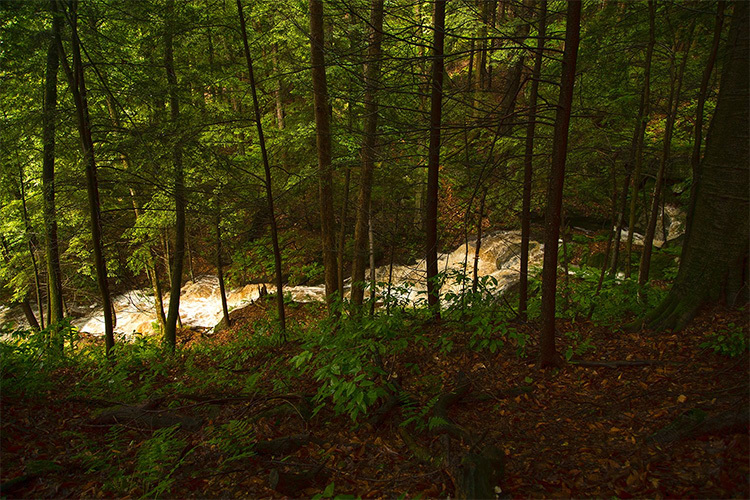 We thought it was time to "glass-half-full" those rainy summer days in northwest Pennsylvania with our favorite waterfall hikes in the Allegheny National Forest. 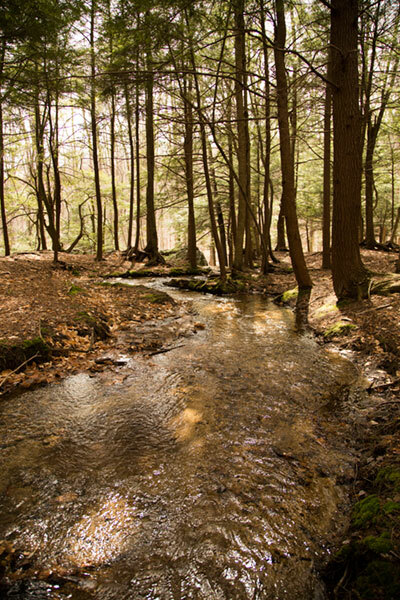 Please remember - although close to our small towns, the Allegheny National Forest, at 517,000 acres, is vast and wild. Should you find yourself in an emergency situation on the trail, cell phone reception is very limited at best, often times nonexistent. Plan ahead. Let someone know where you're going and when you plan to return. Know the ability and skill level of those you're going with and don't overdo it. Footing can be tricky after a good rain, so be sure to grab sturdy shoes that have good tread. Carry a day pack, even if you're only planning a short hike. It should include water, snacks, an extra layer of clothing, first aid kit and headlamp at the bare minimum. And please, please respect the trail. We love our forest. Pack it in, pack it out. 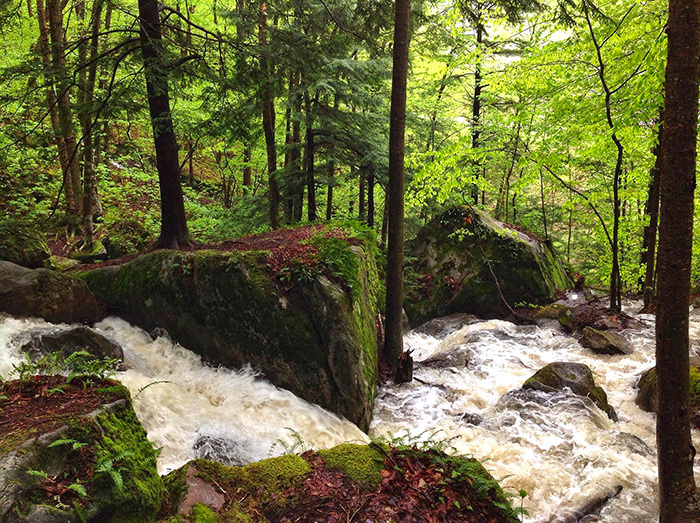 Starting at the trailhead on US 62, Tanbark Trail takes you alongside Boardinghouse Run, a beautiful stream with moss-covered boulders that create a series of waterfalls over a half-mile climb up roughly 800'. Footing can be tricky after a good rain, so be sure to grab sturdy shoes that have good tread. I've lived two miles from Tanbark Trail for the past ten years. My kids and I have explored Boardinghouse Run numerous times. After a good rain, it won't disappoint! 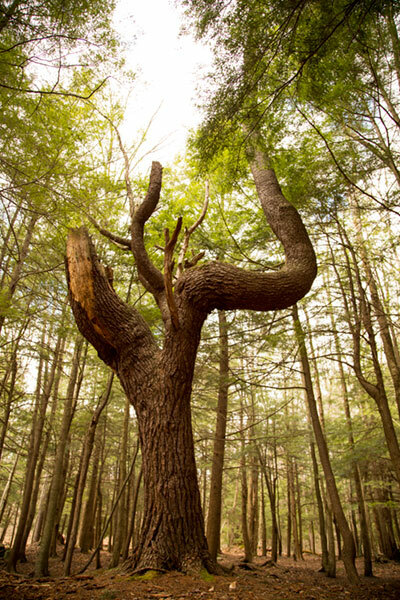 Tanbark is an 8.8 mile trail that traces the route used to skid timber during the turn-of-the-century tanning industry, which used hemlock bark as a source for curing leather. Bent Run Waterfall is a 2.9 mile moderately trafficked out and back trail just past Kinzua Dam (coming from Warren) on Route 59. This little trail follows the stream up roughly 300' with waterfalls flowing over large rock formations in all directions. The trail itself branches off into multiple footpaths giving visitors a plethora of fantastic views. Being closer to town than both Tanbark and Hector's Falls, this would be our go-to trail if we only had a couple hours to explore. The first time we stumbled upon Hector Falls was an early morning hike after a couple days of rain. The forest had a dense ground fog making every leaf a brilliant green from the moisture. 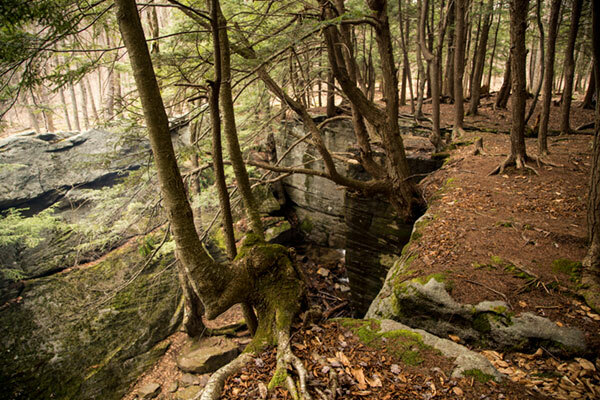 It's an odd place, coming off as a normal little creek and trail, until it drops 22 feet over a giant block of sandstone, towering trees hanging over the rocks edges. It's a great place to pack a lunch and have a picnic, but don't forget bug spray. Our favorite time to hike this trail is early morning during summer, or anytime during spring and fall. It's created when Hector Run drops over a 22-foot tall by 10-foot wide square block of sandstone. Blocks that have already been cleaved away from the falls area lie jumbled along the shallow flank of the Tionesta Valley. These blocks of conglomerate form a rock city, which is a periglacial feature, or a feature not directly formed by the grinding power of a glacier. As far north as Hector Falls is, the glaciers of the last ice age didn’t make it this far, with the glacial front stopping north of Warren. The region along this glacial margin resembled the arctic tundra and was subject to a great deal of freeze-thaw temperature swings. The action of frost wedging split off these immense blocks of stone, which were then slowly dragged downslope by soil creep. Hector Falls is out there a bit, so it's best to have these directions with you: From Warren go East on Rt. 6 to Ludlow (17 miles). Turn right onto South Hillside Avenue (also called South Hillside Road). At the T make a left onto Water Street, then your next right onto Scenic Drive. Cross the railroad tracks and follow FR 133 for 1 mile. Turn right onto FR 258 and go 2.1 miles until you reach gated FR 258H on your left. Park at the gate. (41'41.712N, 78'58.845'W). When you reach the Y in the road (trail), head to the left down the steady decline. The road ends at a gas well in a grassy glade. To the right are a set of small boulders. 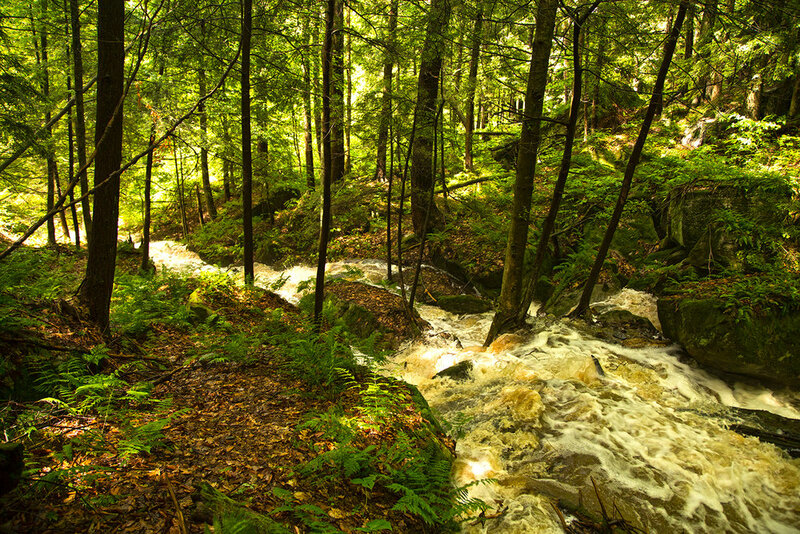 This trail leads to Hector Falls, a short hike from this point.